The teachers’ rebellion has become a national movement, which has its own dynamic in the indigenous regions of the country. It is not then an accident that in the states of Oaxaca, Guerrero, Chiapas and Michoacan, the battle against the laws (mistakenly labelled as “education reforms”) has been taken up within the existing organisations of indigenous communities. That is, decisions are being taken in community assemblies, rather than within the trade unions. It is therefore at the community level that a strategy is being worked out and actions launched. These include raising barricades, making blockades and going head to head confrontation in the unequal struggle against the weapons of the federal police. As seen at Nochixtlan, this means facing bullets, rather than tear gas. Neither is it a coincidence that the two of the largest social movements in Mexico are supporting the dissident teachers. These include the parents of the 43 student teachers disappeared by the government 21 months ago in Iguala in Guerrero, all of whom are indigenous. 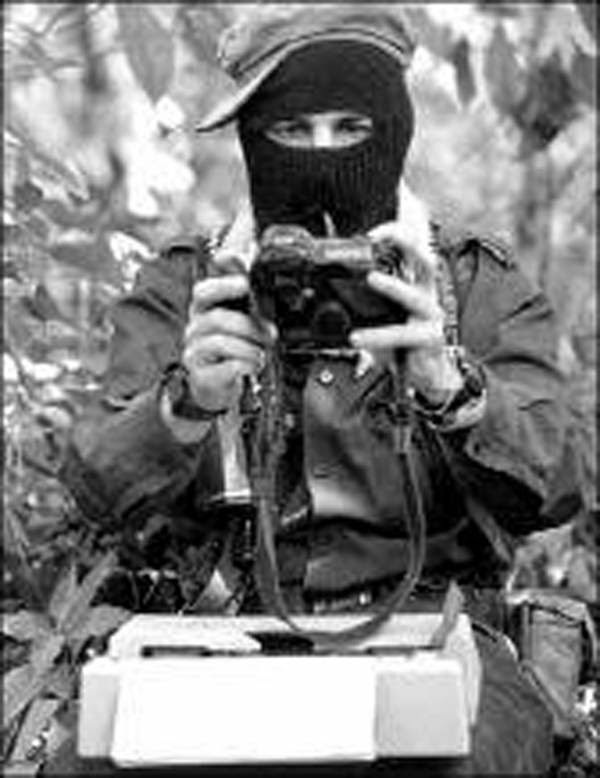 They also include the Zapatistas in Chiapas, whose supporters belong to seven indigenous groups, and where the first repressive measures against the teachers’ protest were launched. In the Mixe highland region of Oaxaca a massive mobilisation is taking place, even though this has been completely ignored by the mainstream media. Damian Martinez, an indigenous Mixe from Tlahuitoltepec, notes that more than 20,000 indigenous people have taken part, from municipalities including Tlahuitoltepec, Tamazulapam, Ayutla, Totontepec, Mixistlán, Chichicaxtepec, Yacochi, Huitepec, Metaltepec, Zacatepec, Alotepec, Juquila, Cacalotepec, Tepantlali, Chuxnaban, Tepuxtepec, Quetzaltepec, Tiltepec, Tepitongo, Ocotepec, Estancia de Morelos, San Isidro Huayapan, and Atitlán. In spite of this, none of the big television channels have covered the events. The only press reports have been from community radio stations, including Radio Jën poj from Tlahuitoltepec, and Radio Kong in Ayutla. The most important issue, as in all indigenous mobilisation, is the process of making decisions through community assemblies. In the Mixe region people started by spreading news about the events of 19 June in Nochixtlan, where according to the local population at least ten people were shot dead by the federal police. According to Damian Martinez, the Mixe people hold that their struggle is not only to support the teachers, but to oppose the neo-liberal policies of the government, and the repression and killing of townspeople. In the Mixtec area of Oaxaca state, lawyer Violeta Hernandez asks “were the Mixtec communities consulted on this reform, which has cost the lives of their children?” Without a doubt the answer to this is no. This is a major reason for the organised response of the communities to the repression.